My layering system currently uses three icebreaker tops, the Icebreaker Aero Long Sleeve Crewe Top as my base layer in all but the coldest conditions or an Icebreaker Factor long Sleeve Half Zip Top when the temperature does drop as a base layer, and the Oasis Long Sleeve Crewe top as a mid layer. In late spring, through summer, and into early Autumn, I will usually use a three layer system, swapping out my base layer as the weather dictates. 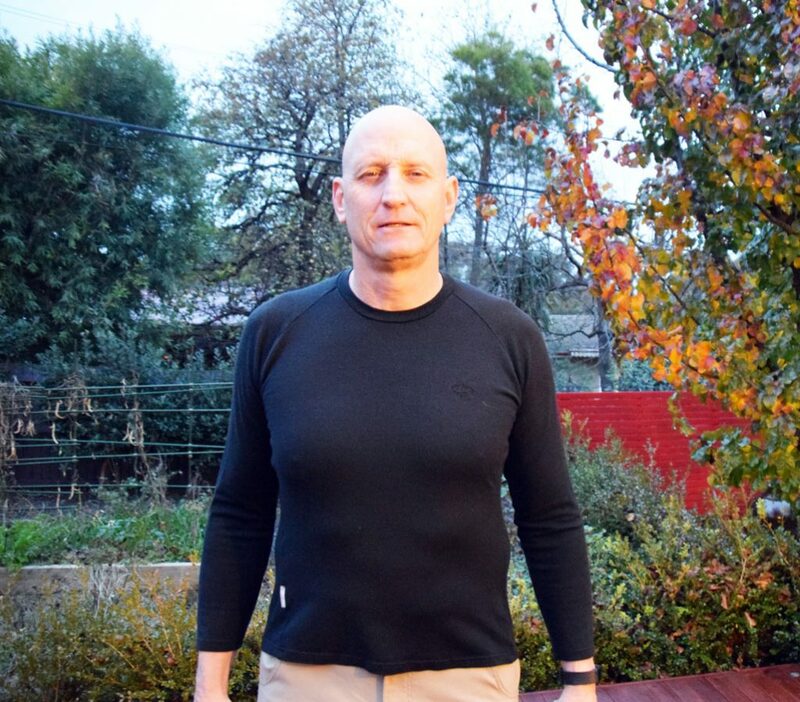 The first is price with this top made of 100% wool the Icebreaker Oasis Long Sleeve Crewe Top is priced at just on $99.95 AUD. One other negative, and this is purely my issue, is that even though Icebreaker recommend that you don’t put there garments through a clothes dryer I rarely if ever drip dry them and machine dry them almost without fail. This is pure laziness on my part and it does tend to ‘shrink’ the garments slightly but not like the old wool jumpers that your Nan used to make. Then there’s the advantages. These garments last and last with my oldest Icebreaker top being just on eight years old. While I have a couple with holes in them, due to rough treatment on my part, they are still in relatively good condition so despite the initial purchase price they are exceptionally good value for money. The use of 100% wool on this top means they don’t stink like other types of clothing after heavy wear. Icebreaker class this top as a lightweight top but as I have a fairly high tolerance to cold I find that it is not often that I will wear it as mid layer saving it for the coldest parts of the year. Strange as it sounds if I am wearing four layers this is the last layer that I will put on, and the first that I take off, preferring to wear my Marmot PreCip jacket and Mont Neon Down Jacket first. The thing that deters me from using this top is that I don’t like having two layers tucked into my pants so will always jettison the mid layer first. For most hikers who have a more normal view of cold this top will probably form their base layer (which is what Icebreaker sells it as) in all but the warmest conditions.